Metal roofs are renowned for their durability, longevity and great looks. Across the Sunshine Coast, many homeowners are choosing to make the switch to metal roofing. When it comes to metal roofing solutions, the team here at Strongguard are experts. We specialise in all metal roofing solutions, from restoration and maintenance, to complete overhauls and replacements. We can replace your roof if it is rusted, leaking, storm damaged, faded, unsightly, or simply beyond repair. When we install a new metal roof, our aim is to make it not only look nicer, but also last longer and withstand harsh weather all year round. Our metal roofing solutions are suitable for both commercial and domestic properties – we even do insurance repairs. With over twenty years experience, the team at Strongguard know what it takes to install a lasting metal roof on your home or business. Installing a brand new metal roof on your home involves the best in workmanship and materials. 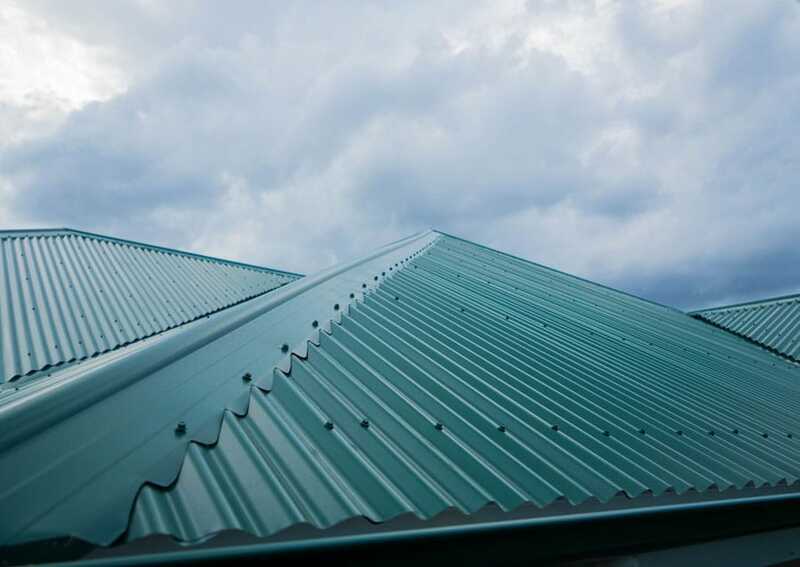 Here at Strongguard, we have been working to provide comprehensive metal roofing solutions across the Sunshine Coast for over twenty years. Throughout this time, we have refined our processes to ensure that our workmanship is of an unrivalled standard. We know what it takes to provide the best metal roof installations. This includes matching the profile of your new metal roof to its application. Our team understands the different approaches that are necessary when installing low-pitched or flat roofs. As a result, you are guaranteed an installation that will last. As a testament to this, we offer ten-year workmanship warranties on all our jobs. 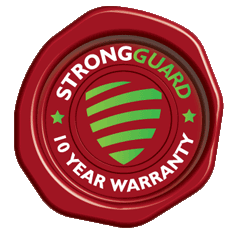 At Strongguard, we recognise that a solid metal roof has to be made of the best quality steel. To deliver this, we source all of our metal roofing from BlueScope Steel, which is Australian owned. With COLORBOND® and ZINCALUME® Steel products on offer, BlueScope steel is unrivalled in quality, durability and finish. There are many different types of roofs across the Sunshine Coast, which means that we need to take a targeted approach to each installation. At Strongguard, we encounter all types of roof designs. Some roofs are designed in complex ways, some are old, and others are rusty and uneven. For us however, this is not an issue. We are well equipped to deal with all types of roofs and we will provide you with a quality metal roof in any situation. When a client approaches us, we always begin by measuring their roof and writing up a quote. This allows us to give detailed advice and an accurate quote. If you accept the terms of our quote, then we will get to work. The first step of the job is to fit safety guard rails and scaffolding to the roof. 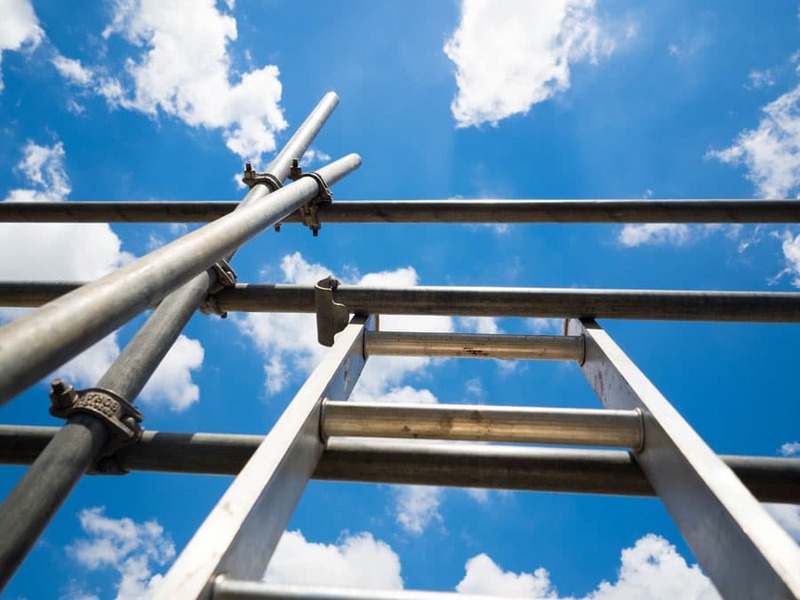 This allows us to work safely on your roof and it meets workplace health and safety guidelines. When we remove your roof, we do so in stages. We take your roof off one section at a time, so that we can quickly reinstall parts if it starts to rain. As your roof comes off, we will inspect the structures underneath it. These structures include battens and rafters. If any are split or damaged, then we will replace or repair them to ensure a high standard of quality. Should there be any asbestos in your roof, our licenced tradesmen will remove it and dispose of it responsibly. Once we check the supporting structures within your roof, we will begin installing your new metal roof. We use only the finest Australian steel for every one of our metal roof installations. With each installation, you get new scribed ridges, valleys, flashings and fastenings. This means that you get the best in quality and longevity. For metal roofing that will give your home a facelift, contact Strongguard. Our metal roofing solutions will not only improve the look of your home – they will also provide better protection against the weather. With a complete metal roof replacement, you will get modern looks, better comfort, great protection, and energy efficiency. If this appeals to you, simply contact us through our website or over the phone and arrange a quote. #1 Will you install a whirlybird on my metal roof? Whirlybirds are effective at maintaining comfortable temperatures within your home, however if you are planning on installing anticon blanket insulation with your roof, they are not always necessary. The insulation blanket serves a similar purpose to the whirlybird and it will keep your home more comfortable. In fact, many people favour the insulation over the whirlybird. In any event, we can install a whirlybird for you and in some instances it might be a good option. If you would like to explore your options, then get in touch with our team. We can run through the features of your metal roof and assess its suitability for either a whirlybird or insulation. Our estimators can also take your budget into account and find a solution that suits you. #2 Can you install insulation in my metal roof when you replace it? Installing a new metal roof provides a great opportunity to upgrade your installation. During the replacement process, we have unrestricted access to the area beneath your roof. This means that we can easily fit an Anticon insulation blanket in your roof during the installation. When we fit this, we place it directly beneath the roof and battens. This places it in close proximity to your roof sheets, where it will be of greatest effect. Insulation is invaluable in the Sunshine Coast, and it ensures that your home remains comfortable during the heat of summer, and the cold of winter. Without insulation, your home cools and warms quickly with the ambient temperature. This can greatly impede your overall comfort and foster a reliance on air conditioning and heating. With effective insulation however, you will be able to minimise your use of heating and cooling appliances. This means that your energy consumption will decrease. As a result, you can save a great deal of money in the long run and reduce your carbon footprint. #3 How much will a new roof from Strongguard cost me? The exact cost of your new metal roof will depend on many things. Over the course of our twenty years in the industry, we have gained a relatively clear picture of what an average home costs to reroof. Generally speaking, a new metal roof for an average Queenslander will cost roughly $10,000-$15,000. Of course, the most important factor when it comes to price is size. If you have a very large home or commercial building, then your new metal roof might cost a bit more than average. This is because we will need to source more metal for the job and we will have to spend longer installing it. In addition to this, the final cost will depend on the condition of your roof. If your roof has deteriorated beyond repair and requires new battens and upgraded support structures, then the cost might rise. Likewise, the accessibility of this site will have some bearing on the cost of your new roof. If your roof is hard to access, then the price may go up somewhat. Essentially, the price of your new metal roof depends on the amount of material and labour that goes into it. #4 What happens if I have damaged support structures or battens? If the supporting structures and battens within your roof are damaged, then we will simply replace or repair them. 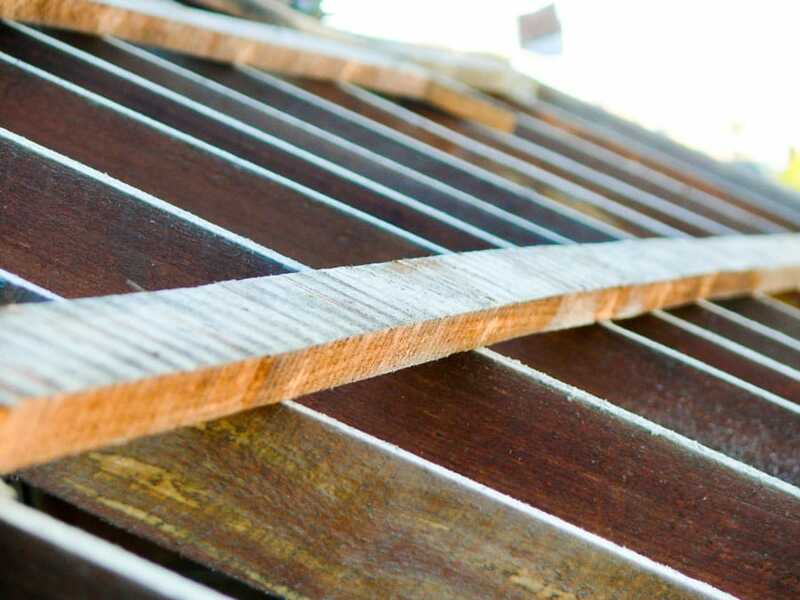 It is hard to tell if your battens are damaged while your old roof is still on, so we offer free replacement services for the first 30 metres of batten in your roof. It is essential that all battens are in great condition before your new metal roof is installed, which is why we insist on replacing them. If you have more than 30m of battens that require replacement, then we will add a charge to the standard rate. For more information on these charges, speak to one of our estimators.